Miscommunication among both small and large organizations and teams is usually a common thing. It is typical when there is the absence of cohesive work environment. If there is no effective communication among employees within an organization, then that organization or teams will not be able to work and communicate with external clients. Study of Harvard Business Review recently revealed that organizations and teams who followed digital communication have been decreased until and unless they implement and establish a collaborative environment. People flourish in an environment which enables them to participate and share that boosts efficiency, productivity and whole work satisfaction. How people work in an organization or within a team impacts the work quality. It influences the work quality that is produced. That is why it is so important to select right tools for your team or organization according to their needs and working requirements. When your team is working on large projects, it is often difficult to communicate effectively. It includes Agile reporting, Scrum, Portfolio planning, Kanban, and many more benefits. JIRA is basically a bug tracking tool developed by Atlassian. It provides project management, issue tracking, and bug tracking functions. But, more often it is used as an issue tracker than a bug tracker, system admin tasks, tracking new feature requests, project management and scrum tasks for Agile teams. JIRA is mostly used by development and design teams to communicate on technical issues, track bugs, plan sprints and come up with story points. At Vizteck Solutions, to fulfill our important deadlines we work hard we can not spend time with miscommunication. For us, JIRA assists our teams to improve internal transparency, understand how tasks are structured, and cohesion with existing workflow. Our design and development team works by using JIRA to get done complex tasks like creating sprints. It is essential to figure out which software works the best for your needs and requirements and helps your crew with productivity. Confluence is also developed by Atlassian. It is actually a team collaboration software. It provides a variety of features and utilizes with the reason for sharing, creating, storing, and collaborating information on the project documentation. Confluence is broadly used with software development. Mainly it is used as sprint planning, project requirements, sprint planning since it provides templates for customized pages. At Vizteck Solutions, we use Confluence in order to communicate, project documentation, our processes, and managerial roles and responsibilities internally. Confluence assists all the individual of the team to get familiar themselves with internal messaging for processes and projects. Slack is the fastest rising cloud app. According to Okta last year study Slack was increasing 77% in 2015. 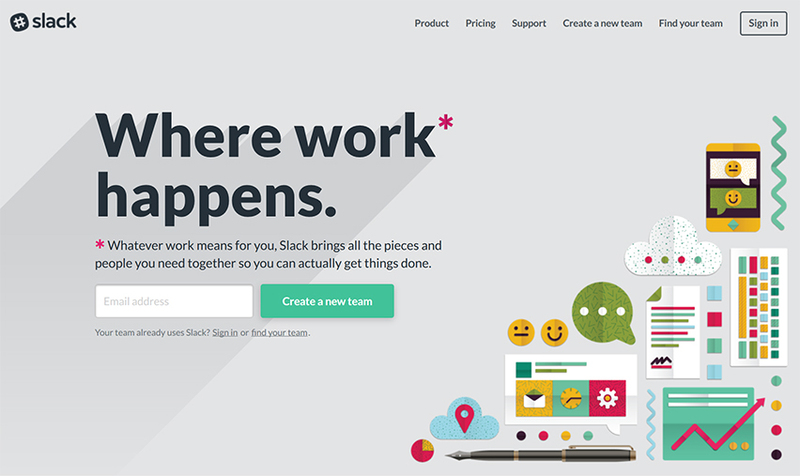 Slack is a Cloud-based team collaboration tool that gives options by organization topics. It also provides direct messaging and private groups. All content materials are searchable including conversations, peoples, and files. Slack is so helpful for a central channel. It also integrates with many third-party services like Trello, Google Drive, Dropbox, JIRA and 150 more, that makes sharing and attachments of documents so easy. Slack also allow users to use emojis in reacting to any post. Without team cooperation, we work alone and forget different perspectives, transferable knowledge, and expertise. At Vizteck Solutions, we use Slack both internally as well as externally. For client involvement and transparency we invite them to join our conversations. Slack enables every individual of your team to build connections and boost productivity by communicating openly. 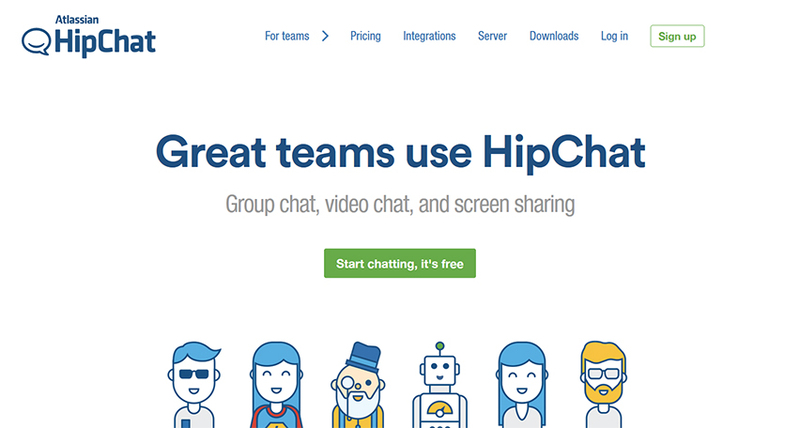 HipChat is a personally hosted chat service which is built to help your team to collaborate more effectively. As a company owner, you can create a chat with your group that you can’t review and access whenever you want. HipChat makes sure that your firm can prevent any kind of miscommunications. Unlike face-to-face virtual meetings where whole teams have to be present, HipChat saves your conversation. That makes it so easy for you and your team members to collaborate on tasks and documents. Hipchat also features a video chat that you may able to utilize from any computer or mobile device. It is among the few that is designed strictly for business use.